People in Hayward come to us any time they need to install a new gate or garage door. Of course, we provide repair services to homeowners and commercial property owners all around Hayward on a daily basis as well. Our company, Hayward Garage Door Services is the best garage door repair business in the city. 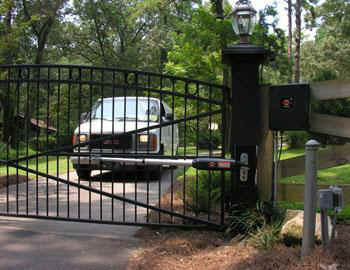 Our team has the tools and experience to install any kind of gate and any type of garage door. We work fast and your property and family are always safe around our specialists. In fact, we follow very strict safety regulations. Installing a new gate or garage door is definitely not easy – however, we make it look easy because we have many years of experience doing this. We strive to deliver the best services possible in Hayward. Our customer service is unparalleled and our rates are extremely competitive. Also, we are proud to say that we can handle any kind of garage door or gate repair or installation project. We know that gates and garage doors are expensive and that you might be worried that something may happen to yours during installation. Rest assured that our technicians are experts and we guarantee the quality of their work. You will never lose the warranty of your new gate or garage door when working with our amazing team due to a novice error. Also, the unit will work perfectly after we install it. And don’t forget to take advantage of our maintenance services to ensure your unit works flawlessly for many years. We never let down any of our customers and our rates are unbeatable. For a free consultation – as well as a free upfront price quote – don’t hesitate to get in touch with us today.